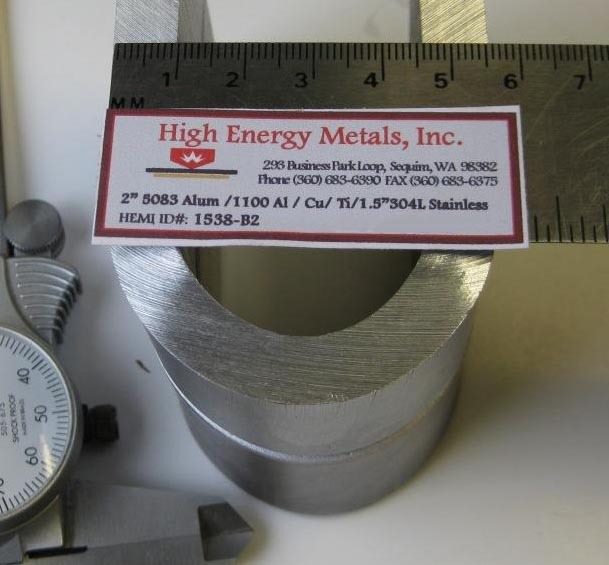 Testing - High Energy Metals, Inc.
High Energy Metals, Inc. employs a wide variety of testing methods to guarantee the quality of both our bimetallic bonds and our finished products. The handheld ultrasonic scanner is one of HEMI’s most trusted diagnostic tools. Our unit utilizes a pulse echo transducer to send sound waves into the metal and then measure the time it takes for them to return. If an explosive bond has failed, the sound pulse will reflect off the non-bond and be easily identifiable. This technique provides HEMI a fast, accurate, and non-destructive method to test all of our explosive bonds. 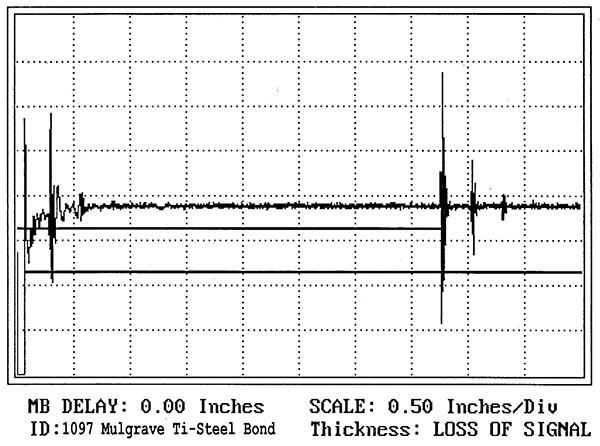 Good Bond – This waveform shows a muted reflection at the bimetallic interface. 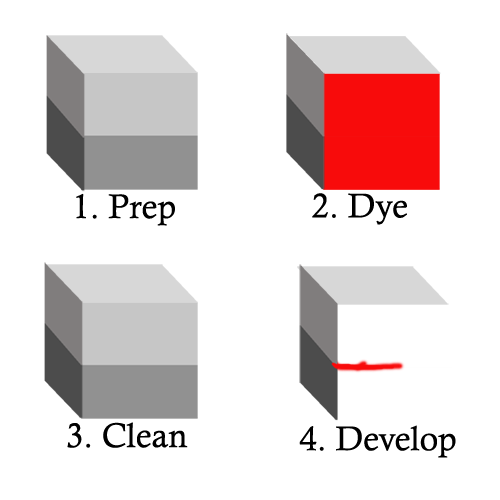 The strong reflections are at the free surface or the back wall of the 3in thick plate. 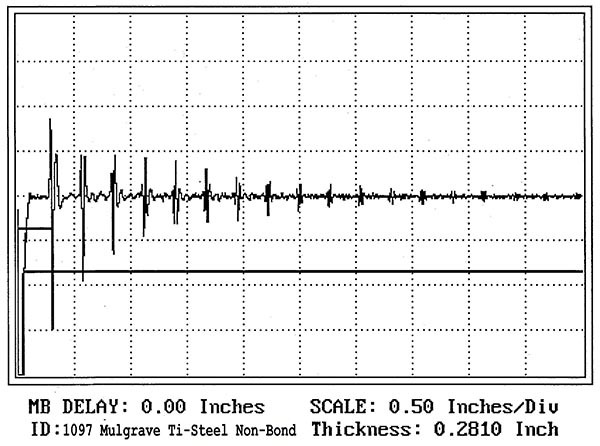 Non-Bond – This waveform shows multiple reflections at the explosive weld interface and a muted or non-existent reflection at the free surface or back wall. High Energy Metals has a custom made C-Scan unit capable of analyzing bonded plates up to 48″ x 60″. 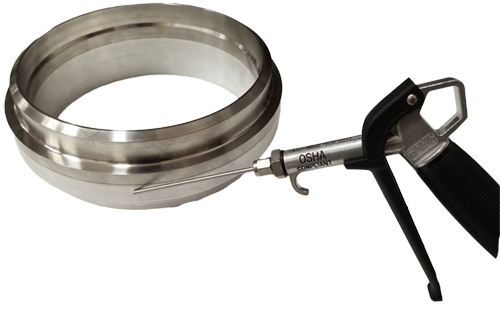 The C-Scan unit can index on the order of .010″ and detect flaws as small as .040″. C-Scan evaluations are computer integrated to allow digital print-outs of any plate scan. A scan of a 4ft sq. plate. Green areas indicate non-bonds. The blast was initiated from the center. Along the left hand side are two calibrated reference blocks. 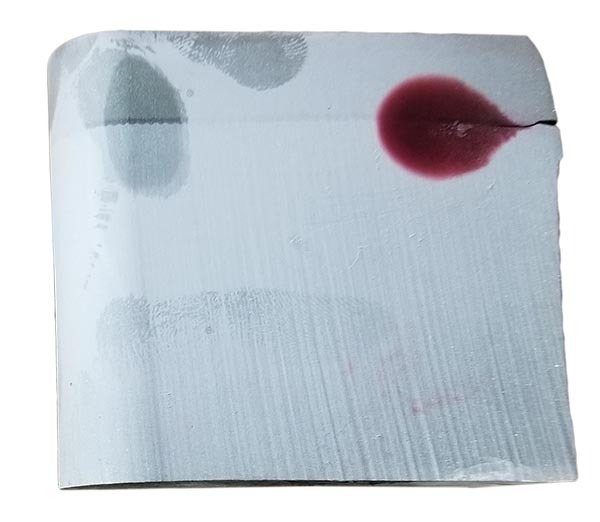 Also known as Liquid Penetrant Inspection (LPI), this technique is an industry standard low-cost inspection method. A liquid dye is applied to the weld faces and allowed time to penetrate. Next, the dye on the surface is removed and a developer is applied. If any defects are present in the bond, the dye will leach out and highlight them. High Energy Metals utilizes this technique to guarantee all our explosive welds are properly bonded. An overview of the dyepen process. An example of a successful dyepen test. Many of High Energy Metals’ finished products are designed to operate with a diverse variety of gasses at a wide range of pressures. HEMI utilizes helium leak testing to verify our parts will withstand the extreme environments and conditions they will be subjected to. To test our parts, we seal them and then bring one side of the bond down to a strong vacuum (10^-9 torr). We then spray a helium tracer gas along the other side of explosive weld line. Integrated into the vacuum is a helium mass spectrometer which can detect minute changes in helium concentration. This test allows us to discover leaks as small as 2.16*10−8 atm-cc/s (~2 mmol/century). Helium is used as testing gas because of its small, monoatomic size, its inert nature, and its consistently low atmospheric abundance (5 ppm). Many of High Energy Metals’ parts must survive extreme temperatures and sudden temperature swings. To test that our parts can withstand these situations, HEMI can thermally cycle our finished pieces before leak testing. The standard mechanical test that HEMI uses to determine bond strength is the ram-tensile test. A specimen is machined from a bonded plate with a hole through the bond on one side. The opposite side has a larger diameter turned through the bond. 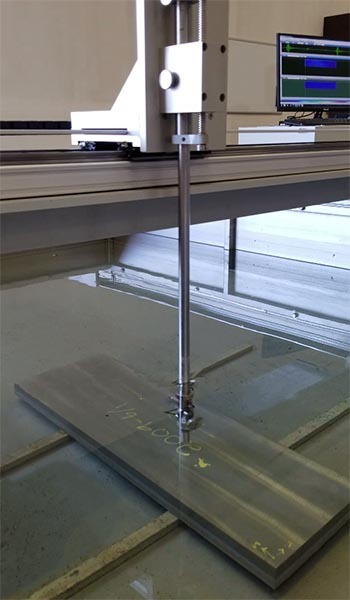 This allows the specimen to sit in the testing fixture and the ram pressure forces apart the bond in tension. A successful test results in the metal fracturing before the weld. HEMI’s routinely tests our explosively bonded material’s ability to resist shear forces. 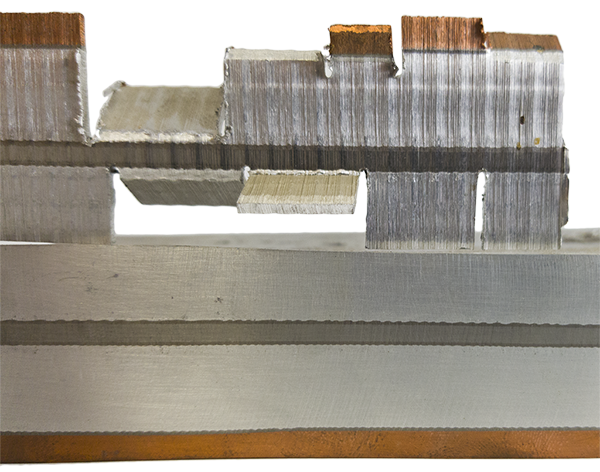 To perform a shear test, we machine a custom test lug and attempt to shear apart the metals along the bond-line. The test lug consists of a long strip of base metal and a machined strip of bonded metal with the explosive weld exposed. The lug is placed in a test fitting and force is applied using a hydraulic press. 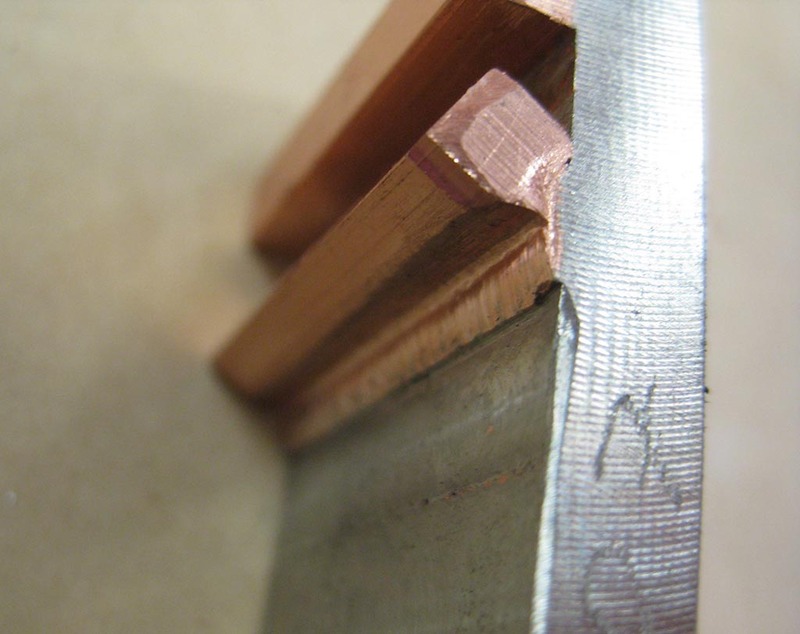 In a successful test, the base metal will shear off before the explosive weld. This indicates that the explosive bond is stronger than the base metal. 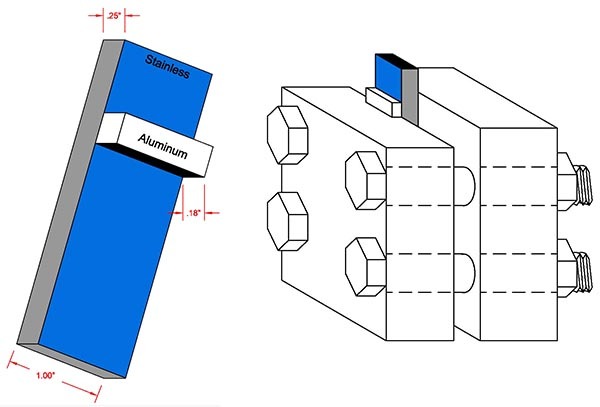 Diagrams for a shear test lug and test fitting. 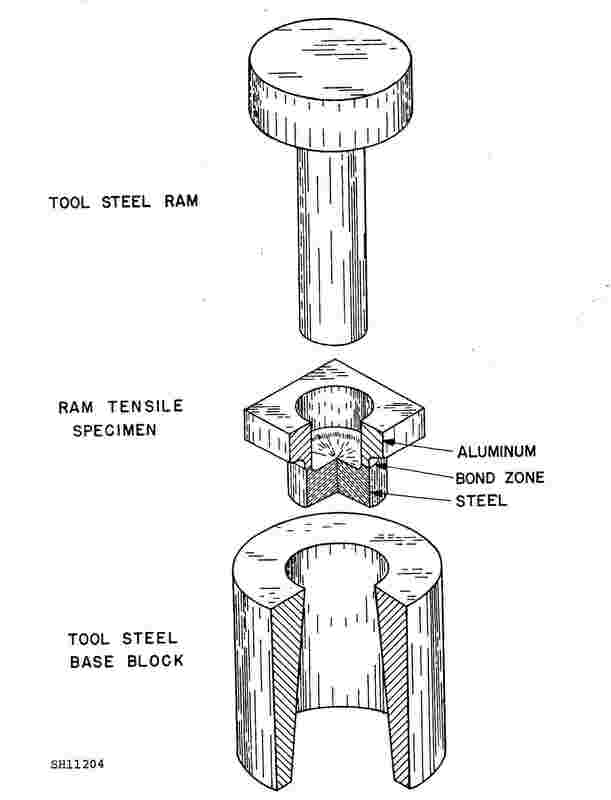 A shear test specimen before testing. 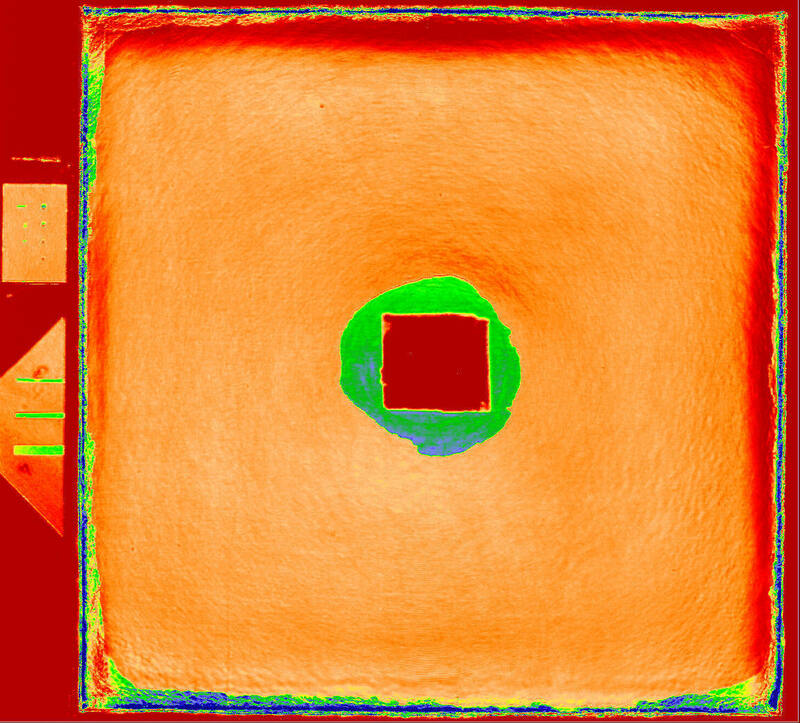 The result of a successful shear test. Bending is a common test HEMI preforms to verify the strength of our bonds. To perform a basic bend test, we cut out a thin strip of bonded material, notch tabs into it, and bend the tabs to different angles along the bond line. A strong bimetallic bond will not crack or break while being bent. 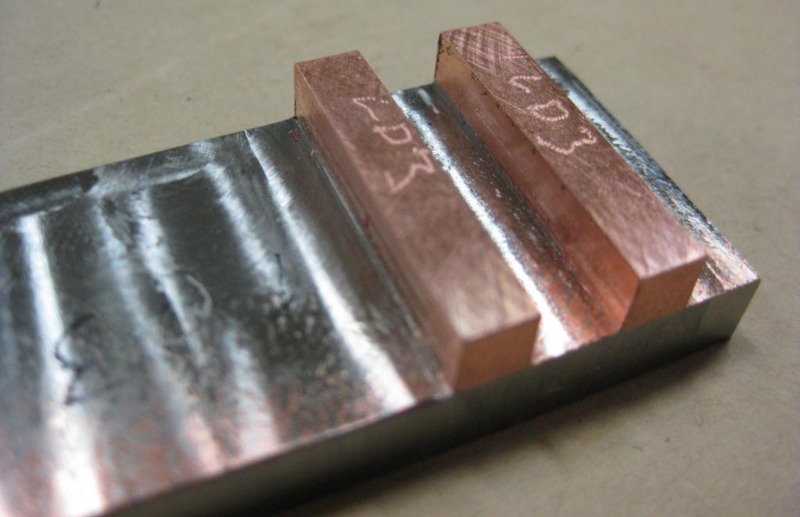 Bend testing the explosive welds between copper, titanium, stainless, and aluminum. Some of HEMI’s custom ordered products need to be bent into their final configuration. We routinely build custom rigs to verify that our parts will survive the deformation and maintain the material’s desired properties. A 180-degree bend perpendicular to an aluminum, copper, titanium, & stainless bond. Some of HEMI’s products, such as our threaded bosses, must withstand torqueing forces on a regular basis. 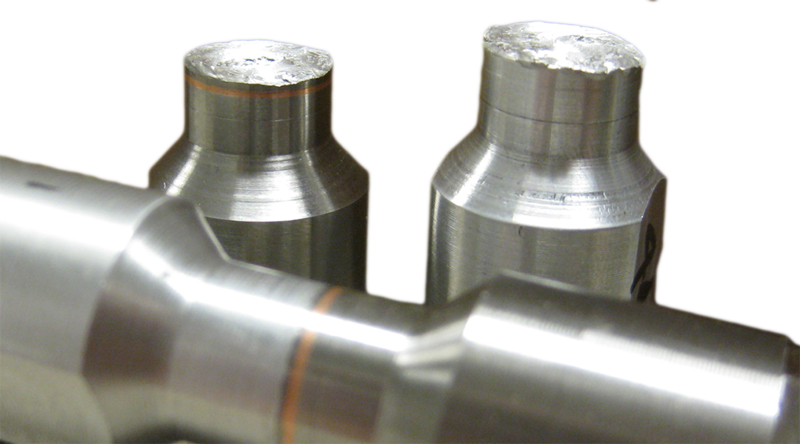 To test a bimetallic bond’s resistance to torqueing, we machine a custom test plug and torque it until it fails. 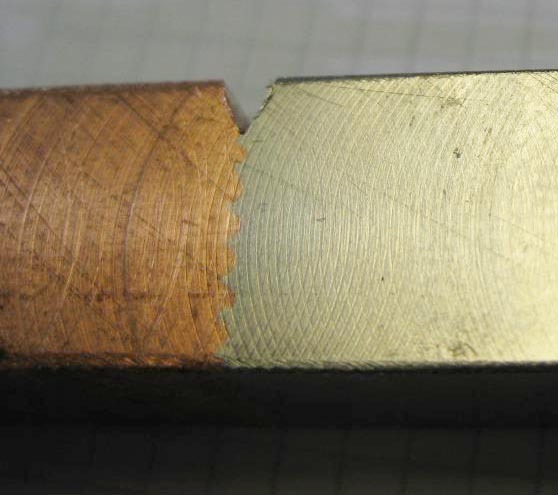 A successful test result will show a break in one of the base metals instead of the explosive weld. This indicates that the bond is stronger than the base metals. Impact testing is a standard method of characterizing a material’s toughness. 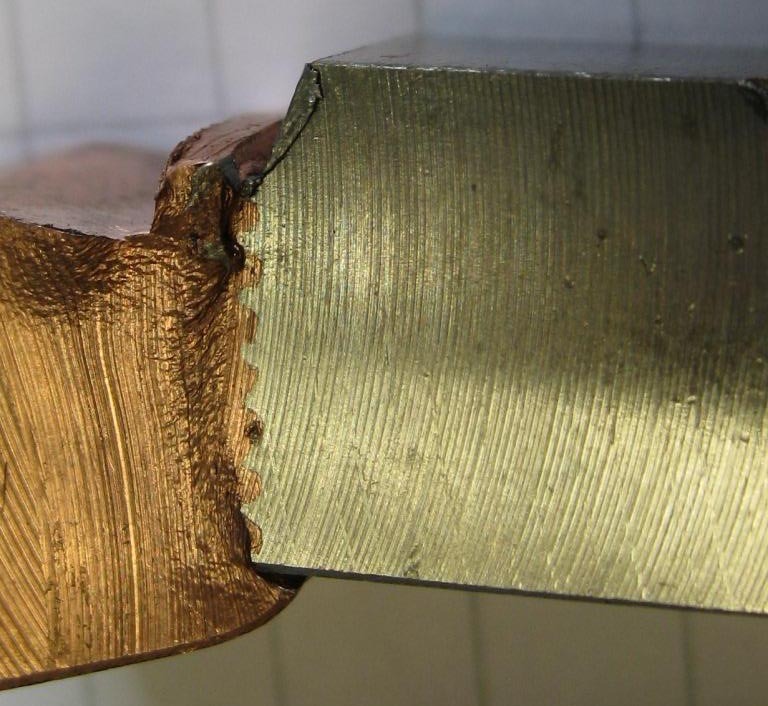 HEMI utilizes impact testing to verify that our explosive welds are tougher than the constituent metals. 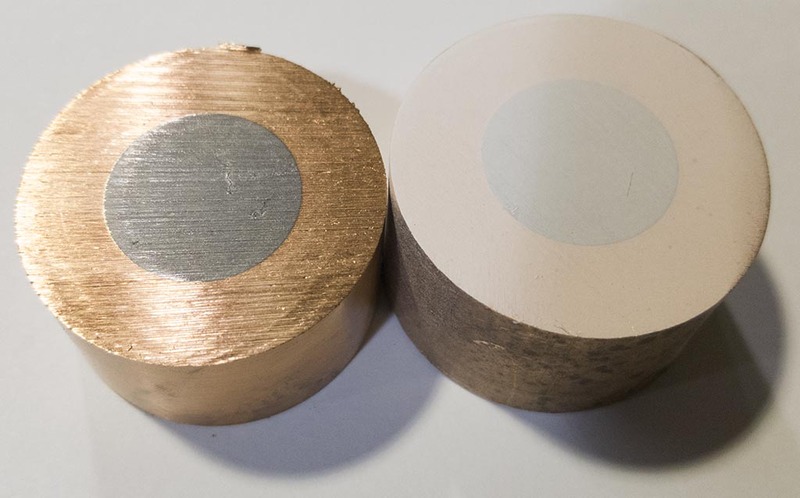 A successful impact test results in deformation or shearing in one of the base metals and not the bimetallic bond. A machined impact test piece before testing. The result of a successful impact test.